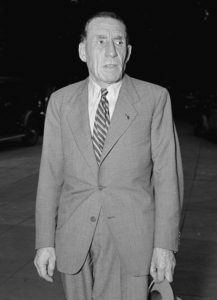 This week in the war, on 16 January 1945, the newly formed French government under Charles de Gaulle nationalized the factories belonging to the French car manufacturer, Louis Renault. Louis Renault died under unclear circumstances while he was in Fresnes prison, waiting for his trial. He had the reputation of being somewhat of a tyrant and was ill-regarded by the working classes in France. 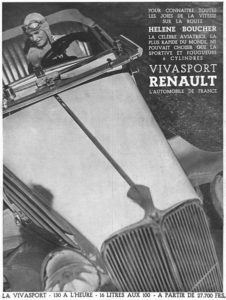 Under the new legislative act, the firm became a government corporation—Régie nationale des usines Renault. In 1947, the 4 CV, produced in Renault’s Billancourt plant, became a huge success. This entry was posted in World War II and tagged de Gaulle, Helene Boucher, Louis Renault. Bookmark the permalink.